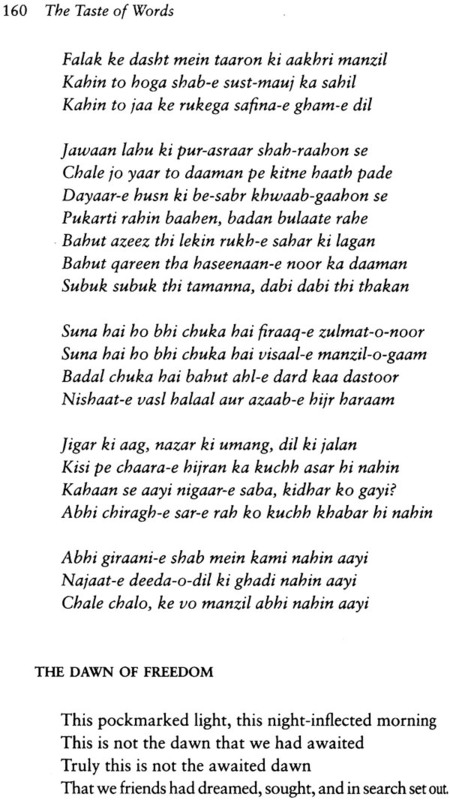 Have you ever been enchanted by the spoken cadence of an Urdu couplet but wished you could fully understand its nuances? Have you wanted to engage with a ghazal more deeply but were daunted by its mystifying conventions? Are you confused between a qataa and a rubaai, or a musaddas and a marsiya? In The Taste of Words, Raza Mir offers a fresh, quirky and accessible entry point for neophytes seeking to enhance their enjoyment of this vibrant canon-from the poem of legends like Mir Taqi Mir and Mirza Ghalib to the lyrics of contemporary game changers like javed Akhtar and Gulzar. Raza Mir’s translation not only draws out the zest and pathos of these timeless verses, but also provides pithy insights and colourful trivia that will enable readers to fully embrace this world. Raza Mir teaches management at William Paterson University, USA. He is the co-author of Anthems of Resistance: A Celebration of Progressive Urdu Poetry. Urdu is a nation unto itself. Wherever it travels, it creates its own world. It was born in India, but does not belong to India alone. It is the official language of Pakistan, but does not belong to Pakistan alone. When it reached Oslo (Norway), it settled there. It went to Great Britain, and created its own home. It reached Canada, and a community emerged. It reached the United States, and became a native tongue. 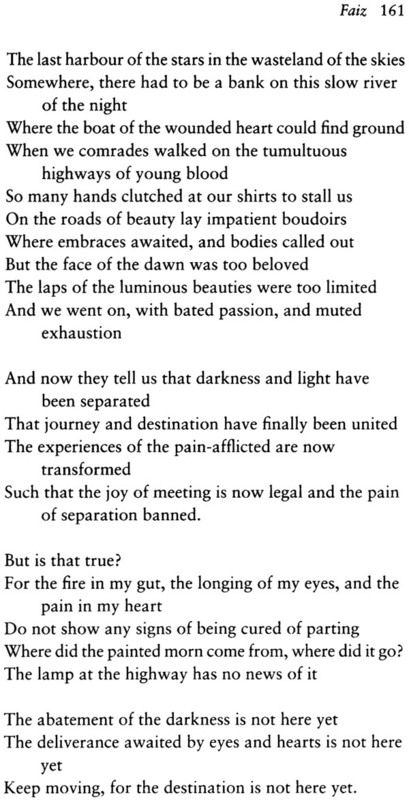 For it was embraced by Raza Mir. The truth is that instead of 'embraced', if we could use a different metaphor, we would say 'adopted by lips'. Wherever Urdu goes, it clasps people in a bear hug. It becomes a tradition unto itself. For Urdu is after all, the lingua franca of a culture. This is first and foremost a gift for my wife Farah. It was she who laid out the idea of this book for me in detail, as a volume that would not only help her dip her toe in the vast ocean that constituted Urdu poetry, but also provide her with an entry point into the language itself, with its occasionally intimidating metaphors and linguistic peculiarities. 'One margam of Bharatanatyam consists of allaripu, jatiswaram, sabdam, varnam and tillana.' I hope I will not bamboozle you in this book with unexplained references to radif, qafiya, musaddas or such technicalities. This book seeks to enhance your affective enjoyment of Urdu poetry, with as little interference from me as possible. The intended readership of this book does not necessarily comprise Urdu experts or those who have read a lot of Urdu poetry in the original. 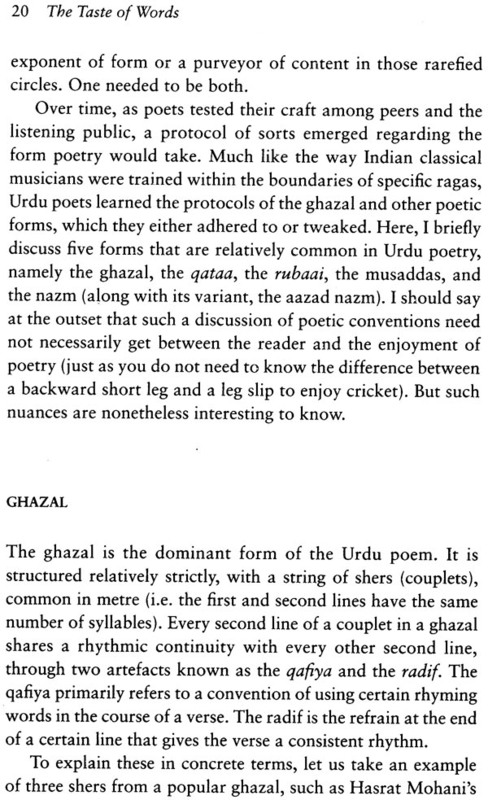 Rather, I visualize an intelligent reader who, while interested in poetry as a genre, may not have a working knowledge of the Urdu script, and may not even be familiar with or fluent in Devanagri either. They would have read poetry in English and other languages to varying extents, but their exposure to Urdu might primarily be oral (Indian film songs, CDs of ghazals and poetry, the company of Urdu-literate friends). They do enjoy the spoken cadence of the language, but might have been deprived of the non-trivial pleasure that comes from a reflective reading of the poems. In this anthology, I have attempted to provide an entry point to Urdu poetry for such interested non-insiders. To these readers, I offer a quasi-formal introduction to the canon and the contemporary landscape of Urdu poetry, with a highly arbitrary and subjective selection of around 150 poems from approximately fifty poets. Many of these poems have been abridged due to space considerations. 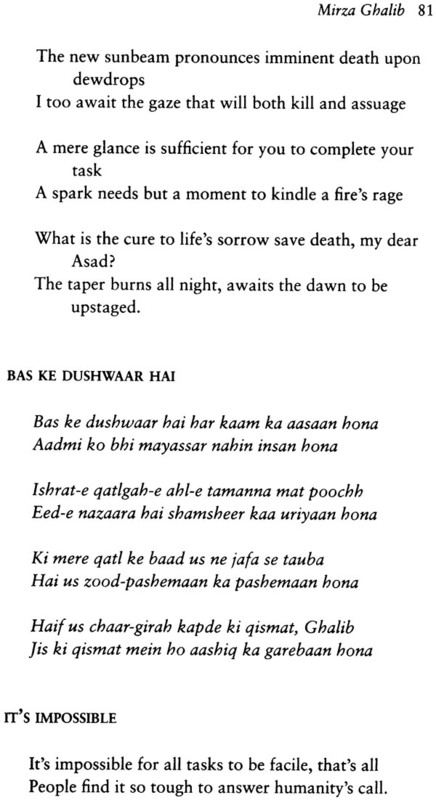 I begin with a brief historical essay on Urdu and Urdu poetry (which is quirky, idiosyncratic, contingent and incomplete, but hopefully interesting) before laying out my selection of poems. I am also happy to offer a brief Internet roadmap of websites where one can read more about the poets and find more translated work. I have also identified websites in the public domain where these poems can be heard and viewed as performance. I have included biographical notes on the poets, which are not meant to be exhaustive, but just an attempt to render them human enough. The poets are ordered chronologically; and while I have chosen the list with care, there will obviously be omissions, of poems and poets, that some readers will consider unforgivable. If reviewers of this book express anger over the fact that I overlooked certain poets, poems or verses (of was foolish enough to include some 'lightweight' in this august company), I will be delighted. For in my wilder dreams, I envisage a series of sequel anthologies, like a good B-grade Hollywood horror film franchise, which people will disparage, but will be drawn to, as if to unhealthy street food. So do drum up the outrage. 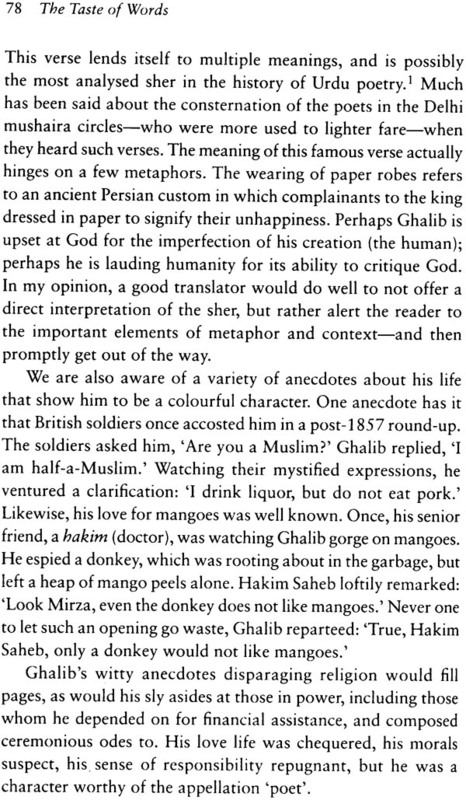 I briefly considered ignoring Ghalib in my selection to ensure such a backlash, but there is a line between quirkiness and insanity that even I am aware of! I would also like to eschew any claims of genre-originality. This task of popularizing Urdu among its script-challenged enthusiasts is not new. As I have mentioned, I myself grew up without learning the Urdu script formally, and am indebted to a host of teachers. In this collection, I have tried to accomplish three inter- related tasks. First, readers can use this volume as a rudimentary dictionary, a source of learning Urdu, or a way of engaging more organically and contextually with the words in a poem. 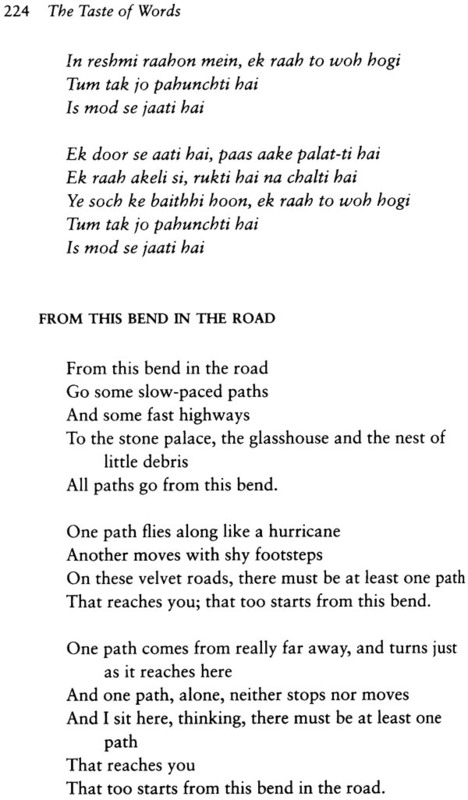 The Internet roadmap adds greater charm to the experience: for example, it is fun to read Amir Khusrau's thirteenth-century qawwali (for instance, 'Chhap tilak sab cheeni re .. .' ) in translation, but the charm is infinitely multiplied if one can do so while listening to it being belted out by Abida Parveen! The second task that I have set myself is that of translating in an idiom that is accessible to a relatively heterogeneous readership. It is here that I have had to make some difficult choices. Should one translate poetry as rhyme to reflect its potential 'singability' (and risk it degenerating occasionally into doggerel)? Or should one strive to preserve the verbal integrity of the poem and eschew rhyme and metre, in the hope that readers will understand the underlying poetics by themselves? Not only did I mentally agonize over this question, I actually wrote the entire first draft of this book as free verse, before deciding impulsively that, sometimes, 'not to rhyme, was a cryme' (indulge my puns, please!). 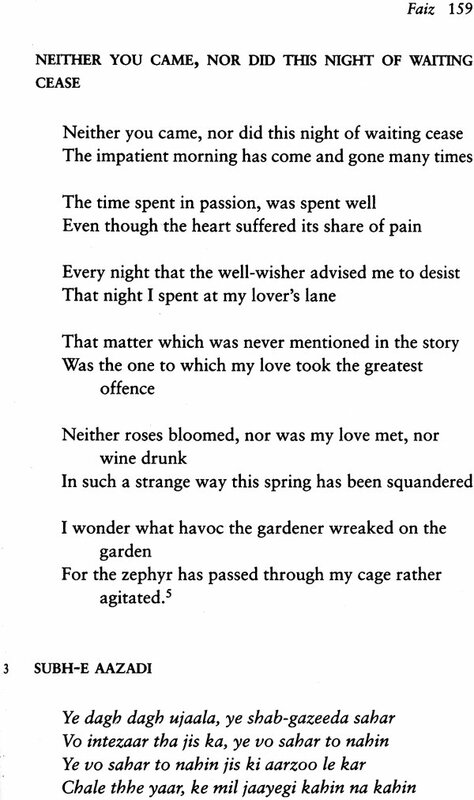 Thus I chose to retranslate several-but by no means all-poems rhythmically. Even when I have tried my hand at rhyme, I have done my best to not inject myself, the translator, into the relationship between the poet and the reader. You will be the final arbiter of whether my choice has worked out. I also want to raise the tricky issue of the transliteration scheme to be adopted. A number of formats have been proposed by academics dealing with Urdu, many of them highly precise and consistent. However, they tend to be themselves very arcane and intimidating to the eye. To maintain the popular flavour of the book, I have deliberately chosen to go with an unscientific, 'vernacular' format. My schema (if I may call it one) is derived from the way in which Hindustani words have been portrayed in movie posters in India over the years. 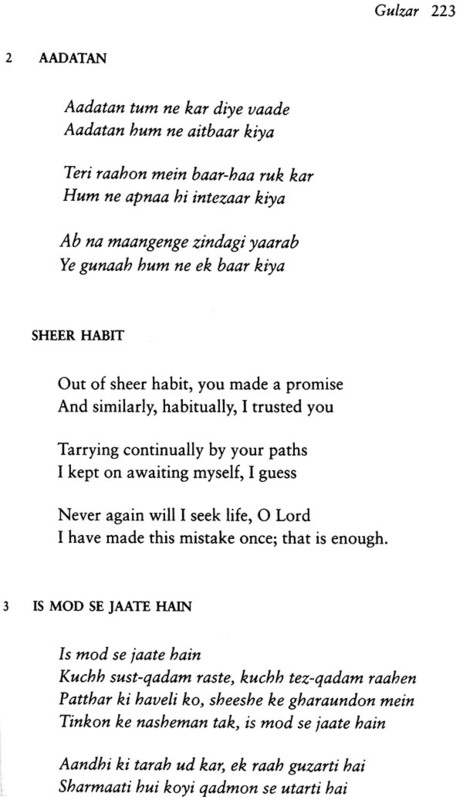 For instance, a standard transliteration scheme deployed by the Annual of Urdu Studies, a respected journal, would represent a line from a song in the film Hum Dono as: 'Har fikr ko dhuen men udaata chala gaya', I would have instead gone in this book with: 'Har fikr ko dhuen mein udaata chalaa gayaa'. Readers from the subcontinent, who are in the habit of reading transliterated movie posters and advertisements, will be familiar with this format. I beg the indulgence of others, on the plea that those who are finicky about transliteration are usually familiar with the original script, and can therefore make do with the originals. Finally, this book is an attempt to build another tiny bridge between the modern subcontinent and a language that is currently under siege on a variety of fronts. In the recent past, Urdu has struggled to gain acceptance from elitist rulers, dismissive linguists and political conservatives who have either sought to belittle it as a crude indistinct dialect or tainted it by association with putatively traitorous minorities. What has led to its survival in the South Asian landscape is the fact that it was embraced by the masses, and has remained alive as a spoken tongue. Perhaps reflecting this public-oriented ethos, its literary tradition, especially its poetic tradition, is simultaneously erudite and accessible, with a rhythm that can be intoned by a theologian and also sung by a street beggar. From culturally mobile ambiguities in words like sanam (simultaneously meaning 'beloved' and 'stone'} to geographically ubiquitous slogans like 'Inquilab Zindabad' ('Long Live the Revolution'), Urdu is a part of the lived experience of the Indian subcontinent, even among those who seek to deny and denigrate it. This book is my attempt to keep the language alive among its westernized friends as well. I hope you like it. Urdu has prided itself on its mongrel roots and cosmopolitan ethos. It was never a language of kings and courts (though a surprising number of rulers tried their hand at Urdu poetry), nor did it confine itself to any religion (despite its deployment by communalists and divisive rulers to drive a wedge between communities). It is a quintessentially modern language, with neither a distinct writing style (no formalized diacritics, and a borrowed script) nor any claim to a direct link with a root language. To chart the emergence of Urdu is itself a fraught task, full of political pitfalls and contradictions. The progression between Hindavi, Rekhti and Urdu is a continuous one, and to break that continuity into a linguistic taxonomy is an act of social construction that is neither helpful nor productive. In this anthology, for instance, I have included Amir Khusrau, who lived in the thirteenth century, as an Urdu poet. Others may choose the sixteenth-century Deccan king Quli Qutub Shah as an originary Urdu poet, while some may play safer and commence with the seventeenth-century poet Wali Dakkani. At any rate, it is correct to say that the language has primarily thrived through an oral tradition, much of which is predicated on its poetry. That tradition has always been engaged with the direct reality of its purveyors, and I would venture to say that the best Urdu poetry is rarely the kind that is steeped in metaphysics, but one which talks of real issues: love and other relationships, jobs and occupations, bazaar scenes, feelings of marginality and oppression, revolution, the yearning of enslaved people to be free, and matters of religion (not metaphysical exegeses but rather matters of practice, celebrations of martyrs and making fun of hypocritical proselytizers). In this introductory essay, I make no claims to comprehensiveness or neutrality. 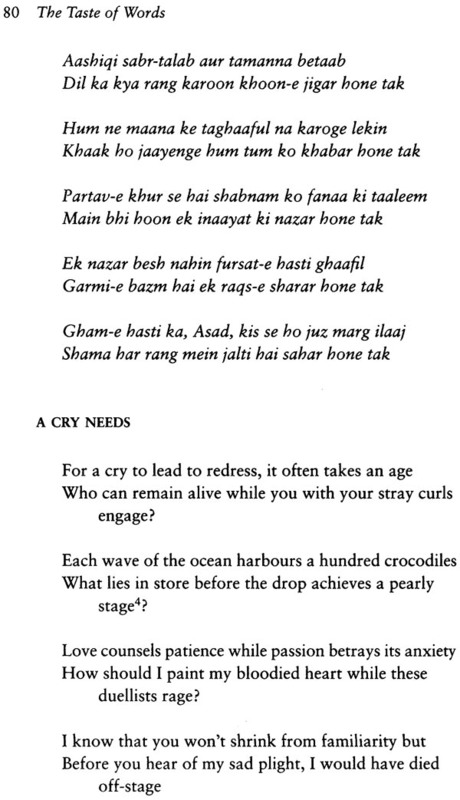 I just offer you a contingent and partisan analysis of what I consider to be important milestones in the dynamic trajectories of Urdu poetry. The period between the thirteenth and the sixteenth centuries CE can be said to mark Urdu's prehistory, where the language existed primarily as consciousness rather than category. Much like Moliere's bourgeois gentleman who, when told about the distinction between prose and poetry, exclaimed 'Par ma foi, il ya plus de quarante ans que je dis de la prose, sans que j'en susse rien' ('Good lord, for over forty years I have been speaking prose and I did not know it'), the exponents of the new tongue in that era would be shocked to hear that they were speaking a different language, one whose name would eventually be linked to military barracks (orda in Turkish). Like all languages, Urdu emerged into consciousness primarily as speech and song, and did not detach itself from its roots in Hindavi grammar, Turkish\Pali vocabularies and plebeian deployment (as opposed to scriptural Sanskrit or courtly Persian) until the taxonomies of colonialism ripped it apart from Devanagri. If one is looking for a definite date when Urdu was born, one should consider the year 1900, in which Anthony MacDonnell's infamous 'Nagri resolution' postulated that Hindi and Urdu were separate languages. But to do that would get us ahead of our story. For the moment, imagine if you will, a new way of speaking, that emerged as a fad and began spreading like wildfire across northern and western India, adopted by Sufi mendicants, bhakti singers, street balladeers and regular working folk who did not have access to more courtly languages. Imagine trades people, holy men and other travellers who seeded the countryside with its common metaphors, turns of phrase and grammatical peculiarities. The argot grew in usage and popularity, flying under the radar of Persian court records, classical poems in Sanskrit, and florid Turkish tracts. 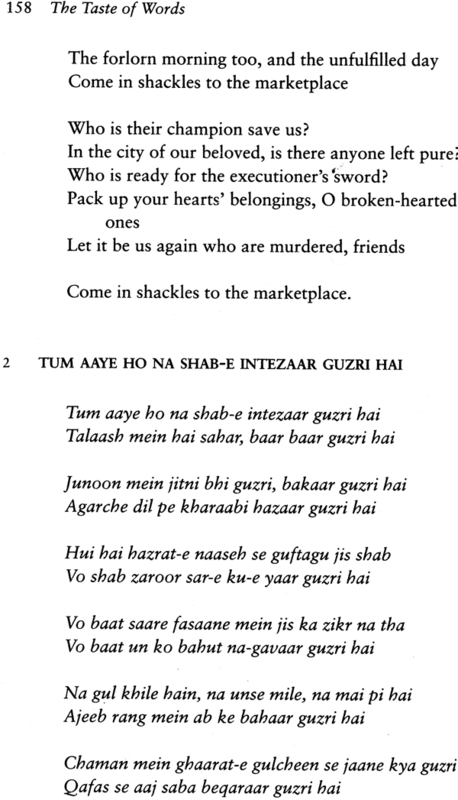 a rapier, touching the vulnerable part of the listener's heart in a way Hafiz may have touched the Persian heart, but which no Indian had replicated in Farsi. Mind you, the language was still known primarily as Rekhti, though 'Urdu' was now becoming an accepted word as well. 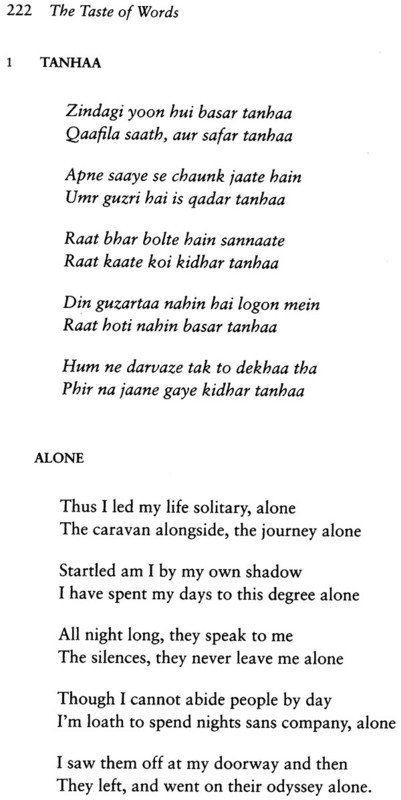 Mir's acolytes adhered faithfully to the guidelines set by his creative 'genius, producing what we now refer to as the 'Delhi school' of Urdu poetry. Outside of Delhi, there were stalwarts like Nazeer Akbarabadi writing the era's equivalent of top hits in the nazm tradition, and parallel developments in the prose world led to the emergence of a loose consensus around how the language would be scripted. A brief but vital digression into the Urdu prose tradition is necessary here. Until the eighteenth century, traditions of Urdu prose had been overwhelmingly oral, relying on the narrative powers of dastans (epics) such as Char Darvesh, Hatim Tai, Betal Pachchisi, Gul-e Bakawali, Laila Majnun, Panchatantra and others. Also influential were the traditions that were derived from the folklore associated with the Islamic Empire, such as the dastan of Amir Hamza. Enter the famous press started by Munshi Nawal Kishore in Lucknow in 1858. This press began to tap into a vast market, which had been starved of popular fiction. One of the best- known offerings of Nawal Kishore Press, Pandit Ratan Nath Sarshar's Fasana-e Aazad (The Legend of Aazad), is often spoken of as Urdu's first novel. Somewhat similar in structure to Don Quixote, Fasana-e Aazad chronicles the travels of a modernist nobleman Azad, and his reluctant rustic companion, Khoji, who embarks on a series of adventures to win the hand of a beautiful woman named Husn-Ara. 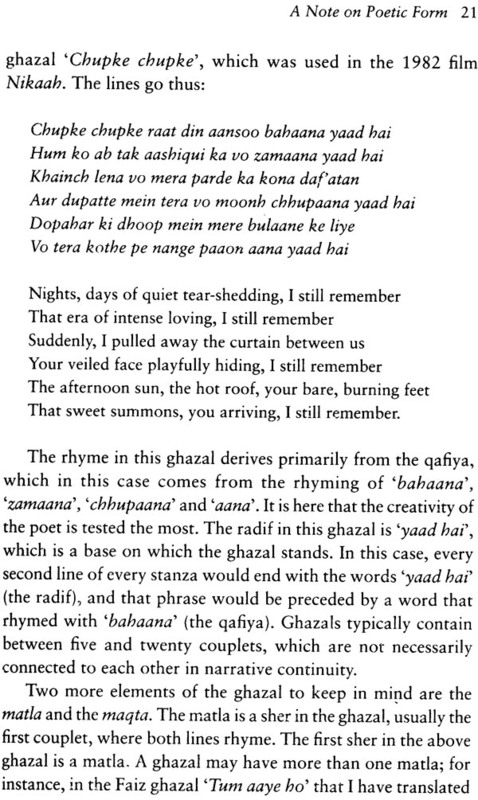 The journey of Urdu fiction from Fasana-e Aazad to Mirza Rusva's Umrao Jaan Ada, and then on to Premchand's Godaan, and eventually Qurratulain Hyder's Aag ka Darya is fascinating, which we shall reluctantly set aside in order to return to poetry. A parallel movement in the eighteenth century was the maturing of the marsiya tradition, especially in Lucknow. The religious observances of Shia Muslims during the month of Mohurrum have always involved poetic representations of the events surrounding the battle of Karbala where Imam Husain, the grandson of Prophet Mohammed was martyred. The Karbala passion play has provided a fertile ground for poets in a variety of languages. 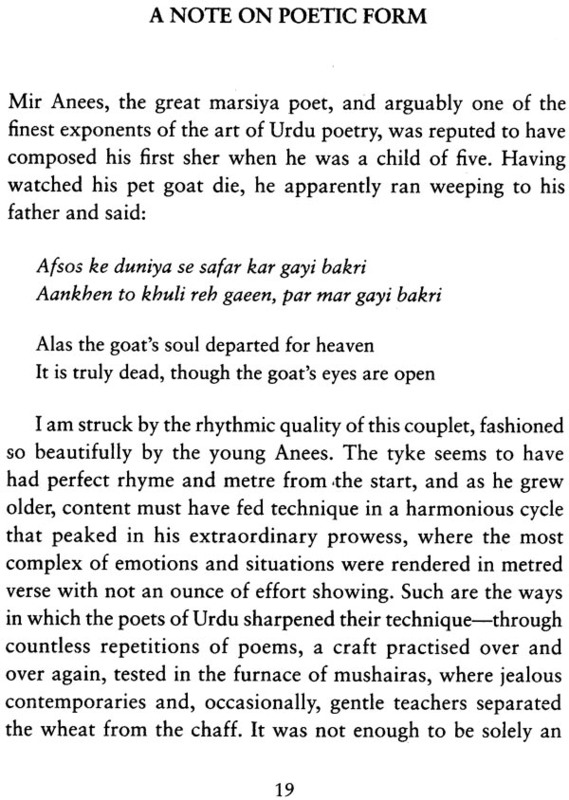 Urdu was no exception, but thanks to the extraordinary literary ability of the eighteenth-century marsiya poets, in particular Mir Anees and Mirza Dabeer, the marsiya or elegy emerged as a robust literary form in its own right, a tradition that endures till today. 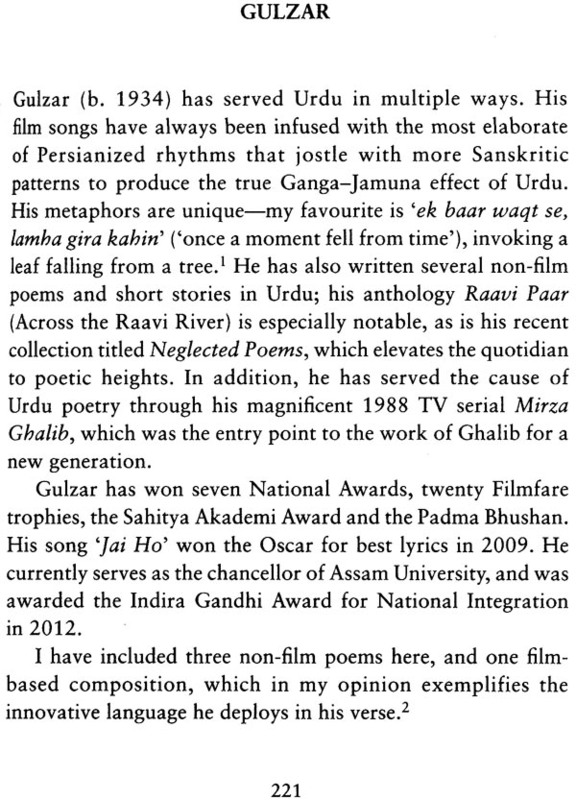 Like Mir, Ghalib is not just a personage in the history of Urdu poetry but an era. 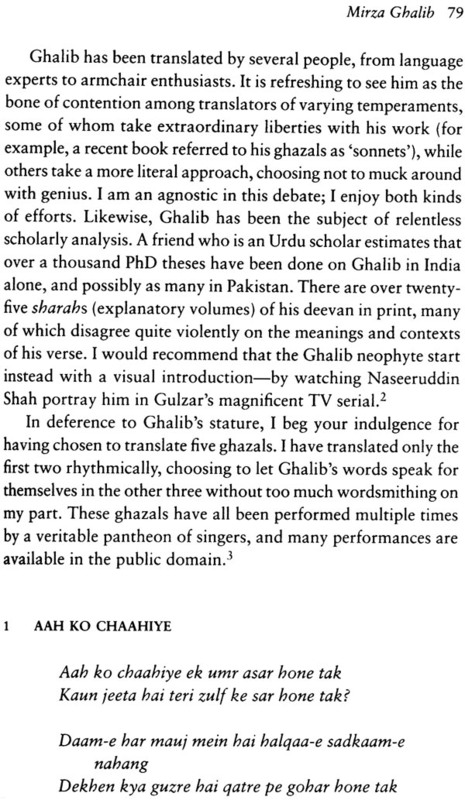 The Ghalib stage in the nineteenth century arguably represented an apotheosis of sorts for Urdu sukhan, or the poetic aesthetic. 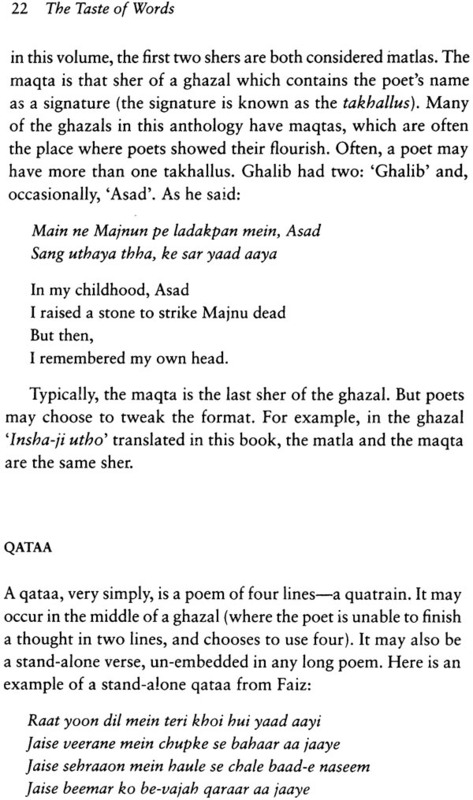 Asadullah Khan Ghalib (known lovingly among Urduwalas as chacha Ghalib, and to Hyderabadis simply as chicha) took the poets of his era who were still recycling Mir's tropes to school with his incredible riffs on philosophy and love and politics, making it clear who the real inheritor of Mir's mantle was. Despite his poverty, cantankerous nature and needless obsession with Persian (which led him to devalue his own Urdu poetry and waste time on inferior Farsi efforts), he was recognized as a genius in his own time (at least by the cognoscenti), and in the 150 years since his death he has acquired the status of a colossus in the poetic landscape of Urdu. The Deevan-e Ghalib may be the most highly printed book in the history of Urdu literature, and Ghalib's verse may be the most translated.